It is a no-brainer that Novak Djokovic is one of the best tennis players of all time based on his results. But the success of Novak as he gets older is nothing short of phenomenal. It's a common belief in men’s tennis that once a player hits thirty, they will slow down as if they hit a brick wall that blocks them from success. This, however, is not the case for Novak Djokovic. He is 31 years old and his results have even been better later in his career. The first major title in Novak's extravagant career came at the age of 20 when he beat Tsonga at the Australian Open. Ten years later, in 2018 he defeated Kevin Anderson in the finals of Wimbledon to clinch his 13th Grand Slam. The fact that he did this months after he'd had surgery on his elbow makes the feat that much more incredible. The period gap between a player's first and last major title is almost never this huge, except for the other members of the 'Big Three', Roger Federer and Rafael Nadal. Djokovic has had a lot of success in the majors, but he's possibly the most successful Masters 1000 player of all time. 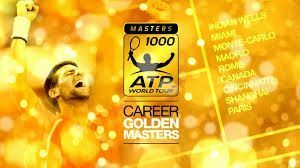 Recently, Novak beat Federer to win the Cincinnati Masters tournament and in doing so completed the career “Golden Masters", something no one in tennis history has ever been able to achieve until now. This means that Djokovic has won every single Masters 1000 event at least once and most of them he's won multiple times with the exception of Cincinnati. Another one of his feats which set him apart from the rest of the members of the Big Three is having held all four Grand Slam titles at the same time. The last time anyone in men's tennis was able to achieve that was in the year 1969 when Rod Laver won the Calender Grand Slam. 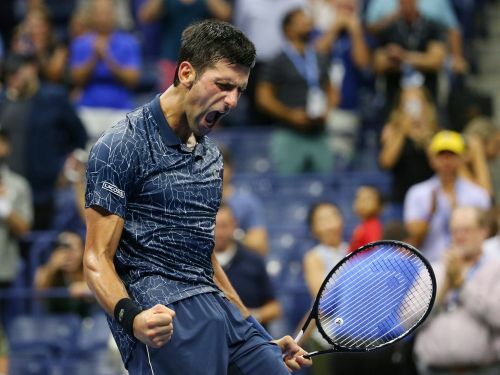 Not only did Djokovic win Cincinnati, but he also followed it up by getting to the semi-finals of the 2018 US Open where he'll be facing Kei Nishikori for a slot in the final. He has won 21 of his last 22 matches which, quite frankly, at his age is simply extraordinary. Federer and Nadal started dominating the game again while Novak was gone, but his coming back changes the whole dynamic of every major. Novak has a positive head-to-head against both these players and hasn't had a Grand Slam loss against either of them since 2014. All of the success Novak is having as he gets older is only going to keep inspiring the future generation of tennis stars that includes players like Alexander Zverev, Dominic Thiem, Dennis Shapovalov and Stefanos Tsitsipas. The Big Three's success at being able to sustain their high level of tennis even when past the age of 30 will inspire these and other players to keep working on their game and not lose hope. Tennis is a game on the rise in terms of international sports and so many stars having success even in the twilight of their careers like Novak is only going to add to the intrigue of fans. This isn't something people are quite used to and provides a much-needed spark for the sport of tennis.